Wisdom, pleasure, a mixture of both? Where lies our happiness? Does the myth of Prometheus offer us an answer? In the dialogue called the Philebus, the speakers ask what is the chief good of a human being? Is it pleasure, or wisdom, or a mixture of both? In order to clarify how they may go about answering this question, Socrates introduces the myth of Prometheus and his theft of divine fire which he brought down to earth for the benefit of mankind. Does this myth reveal the place of wisdom in the sensible and sensuous world? 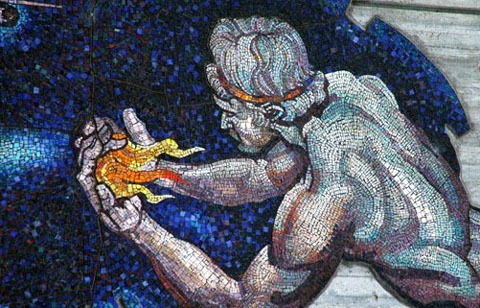 This talk follows the story of Prometheus, his theft, his punishment, his eventual release, and explorers the remarkable truths revealed where myth and philosophy converge.